Project Details: Charbonnet Law Firm | What can IVIO Agency do for you? Charbonnet Law Firm has been serving Louisianna for over 50 years. They pride themselves on their unique ability to come alongside clients and guide them through every step of the legal process. 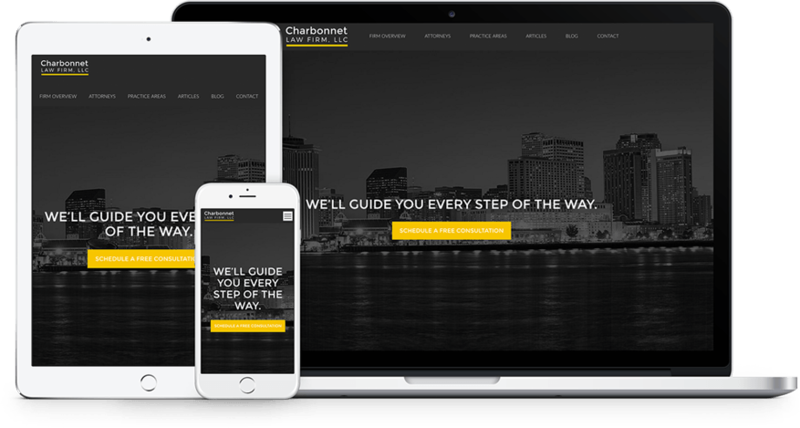 Charbonnet Law Firm came to us wanting a fresh look for their content-rich website. We gave the site a bold voice, clear structure, and a digital presence that sets them apart from competitors.